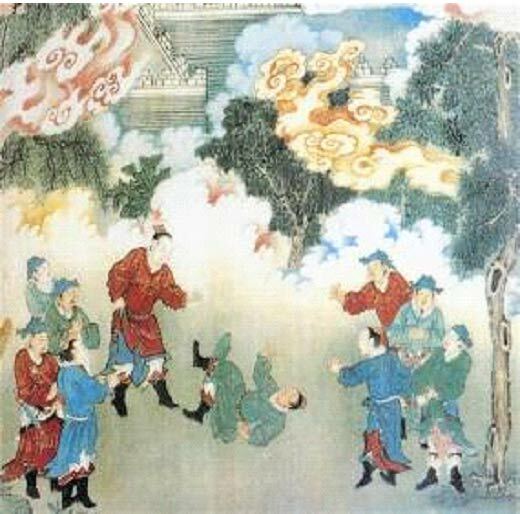 Chinese wresting dates back to five thousand years ago, when the legendary Yellow Emperor used it to train his troops. Later it also developed into a competitive and recreational sport the civilians and the imperial court. Four some time it was called xiangpu-a tern identical in written form with the Japanese-style wrestling of sumo, which indicates the close cultural exchanges between China and its neighbouring countries in ancient times. A bronze engraving in the Warring States Period (475-221BC) excavated in 1955 in Chang'an County,shannxi Province. The wrestlers seem to belong to an ethnic group in northern China. A mural in Mogao No. 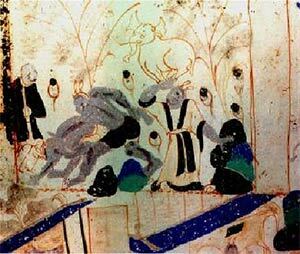 290 in Dunhuang, Gansu Province, built during the Northern Zhou Dynasty (557-581), showing a xiangpu (wrestling) contest conducted on a platform. 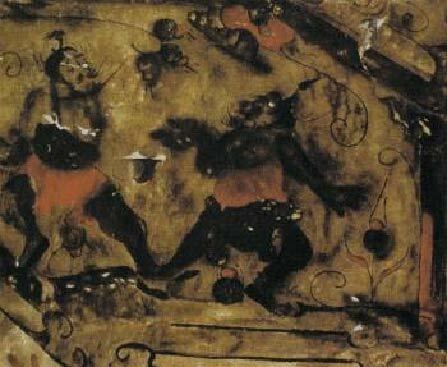 Wrestling in a mural at Chongshan Temple in Taiyuan, Shang Province, dating back to the Ming Dynasty (1368-1644). 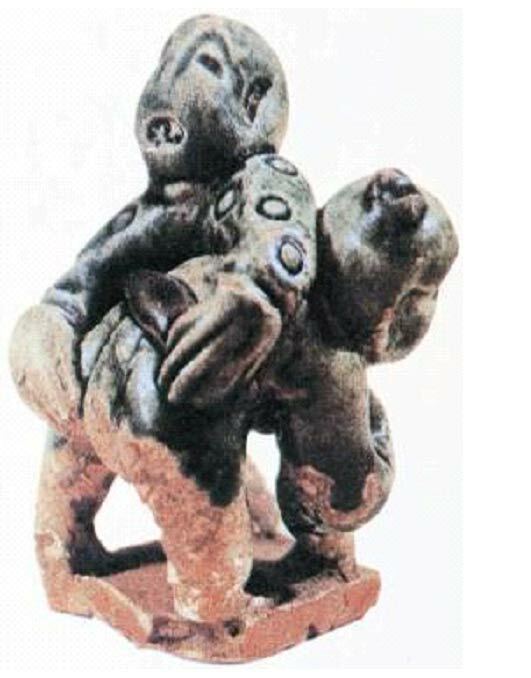 A porcelain figurine in the Song Dynasty (960-1279), showing two kids holding each other firmly in a wrestling bout---one by the belt and the other by the leg. Henan Museum.